This variety pack loop set contains 10 different melody arrangements made up of over 50 loops. This enables you, the producer, to use different parts of each melody. You are also able to take certain parts out to build the structure of the song you are creating. There are 10 folders in this set and each individual element of the arrangement is within these folders. Build verses and choruses where you want! Styles include: Hip Hop, Dirty South, RnB, and Pop. All loops are in .WAV format so they will work in most common samplers such as: Reason, Fruity Loops, Acid, etc. These loops are 100 Royalty-Free! 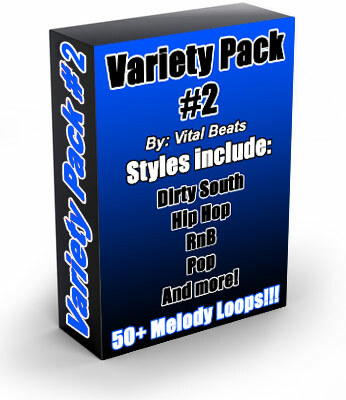 Variety Pack 2 - Hip Hop Melody Loops 117345919 16.95 loopsellers Fresh Download Available!